Doug Chivers lectures a biology class about electro-magnetic sensory perception in fish. Professor Chivers is an accomplished behavioural and evolutionary ecologist who has recently published in the Proceedings of the National Academy of Sciences, Proceedings of the Royal Society of London and Ecology Letters. He is currently the Rawson Professor of Biology. He is a former USFA Chair who has worked hard to build a strong working relationship between the Association and University administration, and who continues to work towards successful outcomes with regards to terms and conditions of employment. Susan Fowler-Kerry is a Full Professor in the College of Nursing. During her tenure on faculty she has developed a successfully funded international program of research in the area of pediatric pain and palliative care. As a result she has served as a consultant with several International organizations including the World Health Organization, George Soros Foundation, and the Middle East Cancer Consortium. Recently, she was invited to participate with the Bill Clinton Foundation targeting pain resulting from HIV/AIDs in children in Africa. She has recently published her second book, Pediatric Palliative Care: Global Perspectives. She has served on the executive for 3 terms assuming the roles of Chair of Personnel, Committee on Women’s Issues, Constitution and 2 terms as Treasurer. Professor Meyers is a faculty member in the Department of History. Kiran Banerjee is an assistant professor in the Department of Political Studies at the University of Saskatchewan. His research is on global ethics and the politics of forced migration. Before joining the University of Saskatchewan, he completed his doctorate in the Department of Political Science at the University of Toronto. Erika Dyck is a Professor and Canada Research Chair in Medical History. She is the author of Psychedelic Psychiatry: LSD from Clinic to Campus (Johns Hopkins, 2008; University of Manitoba Press, 2011); and Facing Eugenics: Reproduction, Sterilization and the Politics of Choice (University of Toronto, 2013), which was shortlisted for the Governor General’s award for Canadian non-fiction; and a forthcoming book Managing Madness: the Weyburn Mental Hospital and the Transformation of Psychiatric Care in Canada (University of Manitoba Press, 2017). Her research explores the interaction between patients, doctors, and policy makers as a series of exchanges that help us appreciate the dynamic relationship between scientific expertise and society. Professor Fisher is a faculty member in the Department of Political Studies. Professor Gjevre is a faculty member in the Department of Medicine. Dianne Miller is Professor of Educational Foundations. Her teaching and research are in the areas of Life History as Education and Place-based Education. She is interested in preserving collegial governance, academic freedom, and in making campuses safe for women and minorities. Professor Moraros is a faculty member in the School of Public Health. Allison is a Professor in the Department of English. Allison is in her second term on the USFA Executive, and has been active with the USFA since 2009 as a member of the USFA Negotiating Committee, JCMA and JCMA Caucus. She has been chair of the USFA Communications Committee and is the Association’s Chief Negotiator for the current round of bargaining. 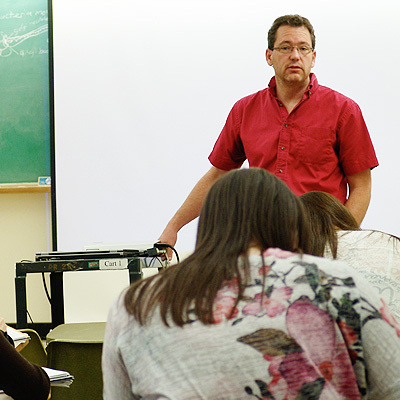 Professor Neufeld is a former head of the Department of Computer Science, where he has an interdisciplinary research program. Eric served has had various roles with the USFA. He is currently Chair of the Communications Committee and is a member of the Negotiating Committee for this round of bargaining. Elizabeth Quinlan is an Associate Professor in the Department of Sociology with research activities into the areas of workplace harassment, sexual violence, and caring labour. For the last several years, she has represented USFA at Saskatchewan Federation of Labour Executive Council and as a member of the Saskatoon & District Labour Council Executive. She is committed to working in concert with other bargaining units at UofS and labour organizations beyond the campus to maintain workers’ hard-won rights while strengthening community-university alliances and building a campus that is equitable, inclusive, and safe for all those who work and study at the university. Patricia Farnese (right) as part of the Canadian Delegation to the Ramsar Convention on Wetlands where she is chairing negotiations between countries on a climate change resolution. Professor Farnese is an Associate Professor in the College of Law. She serves on a number of USFA committees including the Grievance Committee.